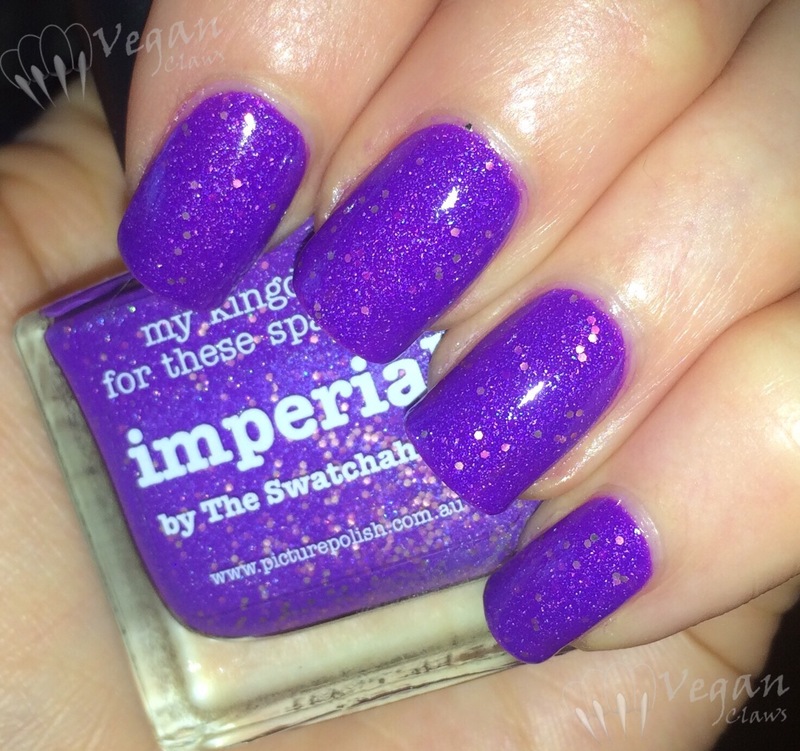 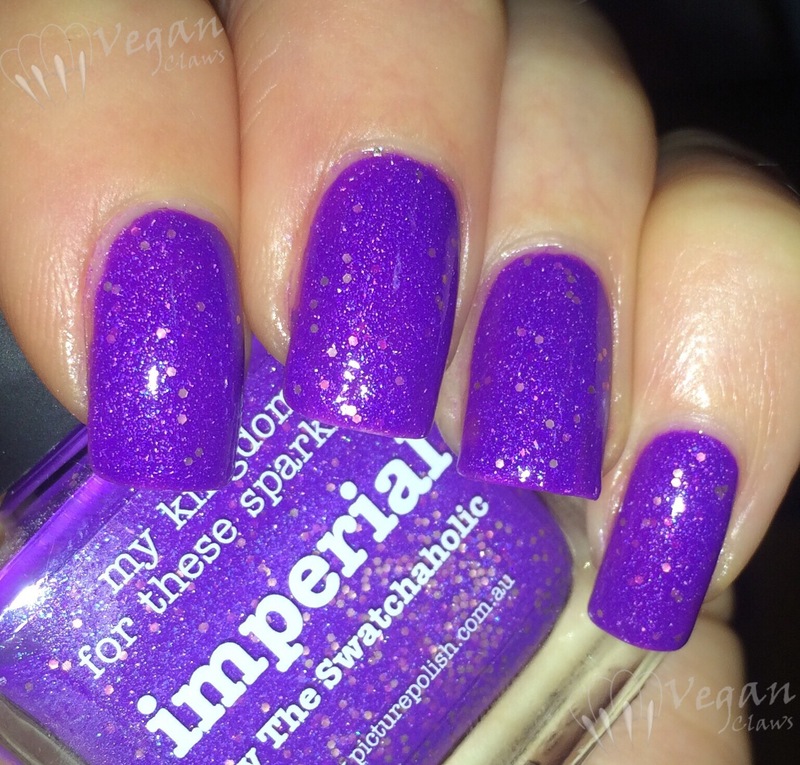 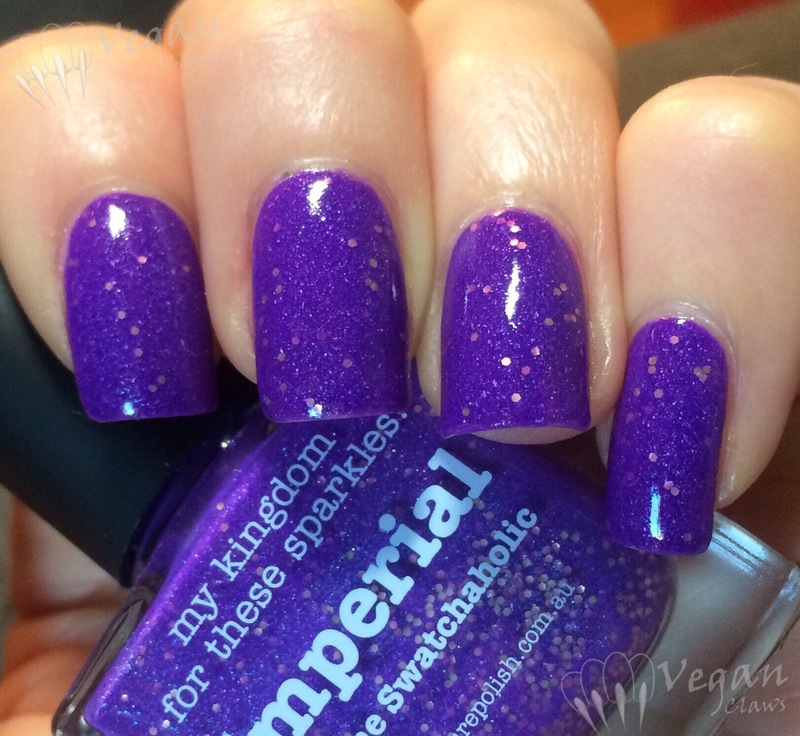 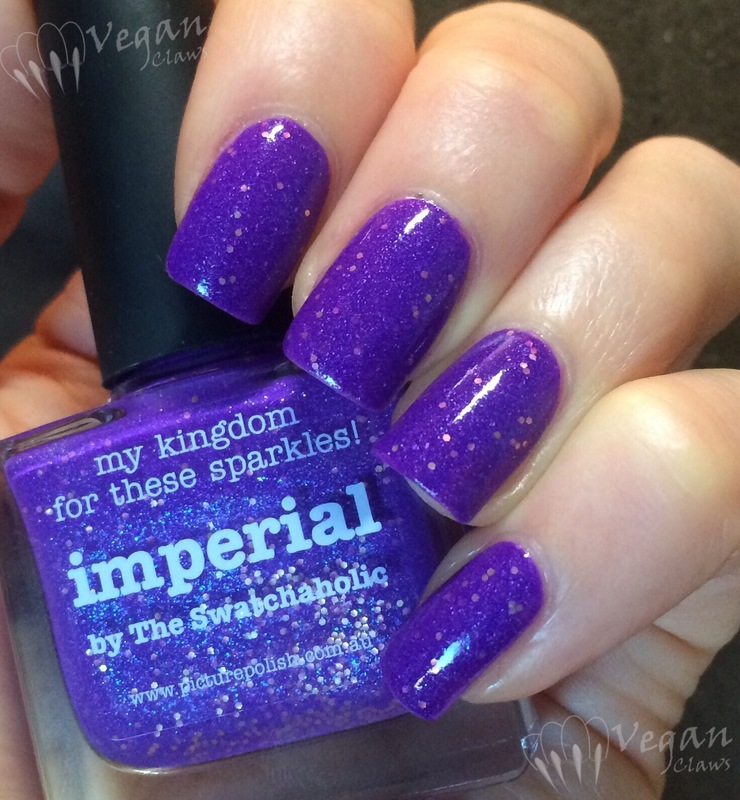 Picture Polish Imperial is a bright purple creme-based polish with tons of shimmer, especially blue glass-fleck shimmer, and small pale gold hex glitter. 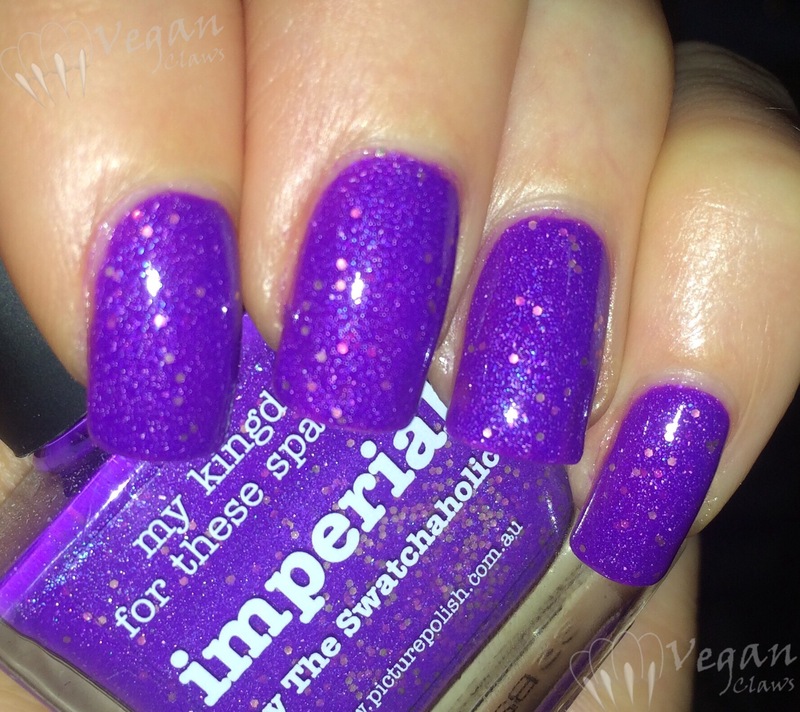 The glitter sometimes gives off more of a rose-gold look when it’s shining through the purple base. 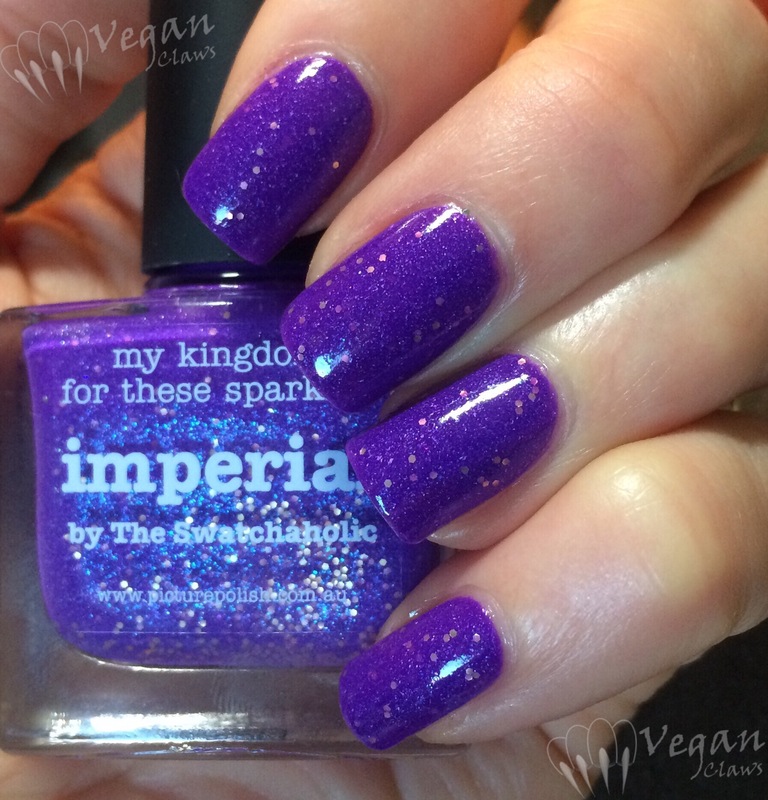 I used two coats of Imperial, plus top coat.